Nestled in the Northwest corner of Georgia at the foot of Lookout Mountain and just 18 miles south of Chattanooga, Tennessee, you will find the small historic town of Chickamauga. The General Bragg Inn and Suites is located in City center in Chickamauga, minutes from Chickamauga and Chattanooga National Military Park. We invite you to take that short drive from Chattanooga or a day trip from Atlanta, Nashville, Knoxville, and Birmingham to experience our museums, unique shops, quaint restaurants and, of course, our rich diverse history. Guests can comfortably rest and stay at the General Bragg Inn and Suites with fully furnished rooms. Guest rooms at the hotel feature flat screen cable television, HBO, a large work desk, microwave, refrigerator, coffee maker, private bathroom, free local calls, WIFI and our complimentary continental breakfast. The General Bragg Inn and Suites is only a short distance away from historical Chickamauga City and walking distance to many restaurants and local shopping. We look forward to your stay with us. Our Guest Suites offer all the amenities needed for any business traveler. Our Suites are spacious and comfortable with WiFi and a large work desk. Pet Policy: Pets are welcome with a charge of $10 USD per pet per night. Rooms are limited. 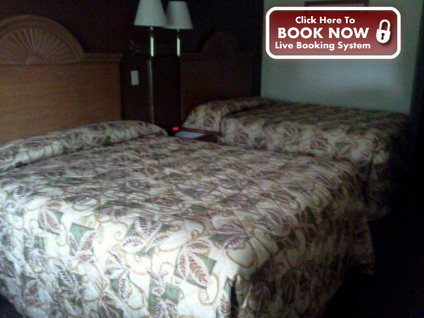 Contact hotel directly at (706) 375-7007. General Braggs Inn and Suites offers a Complimentary Hot Continental Breakfast from 7:00am - 10:30 am daily. 118 General Bushrod Johnson Ave.